From Fear to Fruition, some words from the workshop. 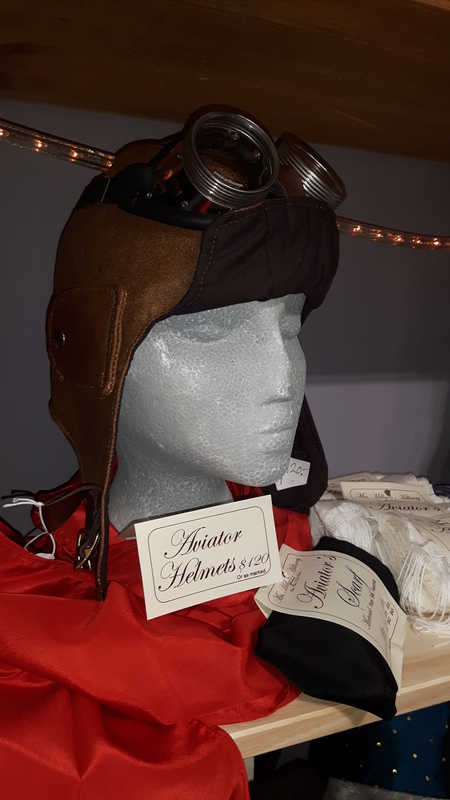 Aviator helmets were one of my husband’s ideas. 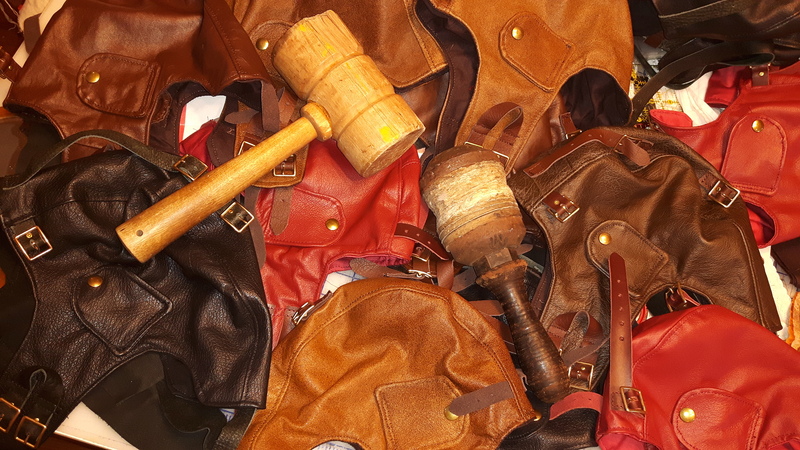 He knew I’d done leather work for 20-some years. He’d seen me fix some ‘impossible’ things. He knew they were a big part of history, perhaps as early as hot air balloons and dirigibles. (Which, I was fascinated to learn recently, basically means ‘able to be directed’; directable: A balloon that can be steered: a Dirigible.) With Steampunk’s fascination with air ships; with our love of new ways of travel and movement – automobiles, aeroplanes; even bicycles, it was “Obvious” to him that this was something I should make. It never would have occurred to me! Me, the 2nd generation leather-worker. Ironic, eh? So, since I trust his judgement, I started looking at images of aviator helmets. Then I got scared that I could not make one. If you are creative in any way, you probably know this stage of things. I also know that I had better get a start before I got brain locked. And you know what? That first one was not so bad at all. My leather working skills were still alive and well. I had devised a pattern that was not too complex. I even managed to scale it up to make the required range of sizes. So with one good helmet under my belt, I leapt into production, ‘head-first with both feet’, as I tend to. I picked leathers from the collection I had built during my 20 years running a leather work shop, and sought out some other pieces. I sorted which colours to make into which sizes, and started cutting. And cutting and cutting. 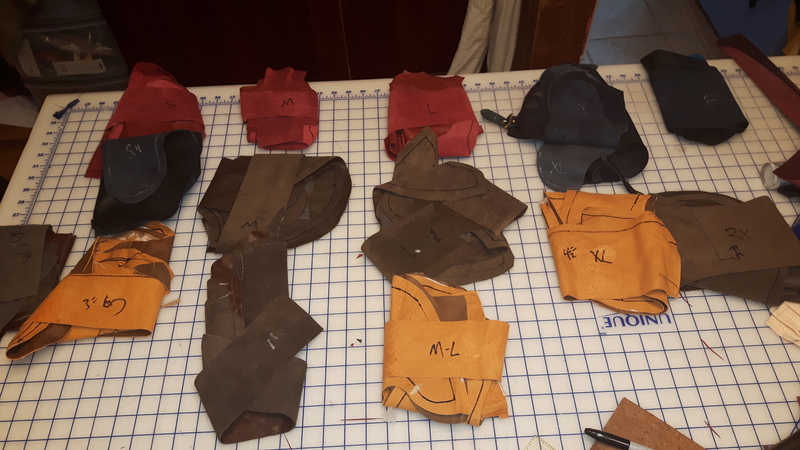 And cutting straps to match, and then sewing, setting snaps, adding buckles, and linings. And here they are, ready to take flight in your imagination or your life. Enjoy!